The winegrowers of Classico Berardenga will be presenting the recent Estate CRUs Characterization Project to journalists and experts during Chianti Classico Collection 2019. The project aims to deepen knowledge about the vineyards and wines of the Chianti Classico area of Castelnuovo Berardenga. Starting with the 2018 harvest, this important research project involves member winegrowers who, thanks to the collaboration with AGER Agricoltura e Ricerca, will be able to use the most modern precision viticulture technologies to enhance their Chianti Classico wine production and to affirm their identity and connection to the territory. At the event, in the space reserved for each participating winegrower, there will be an opportunity to taste the 2018 previews of “I CRU di Terra Vocata” from one of the vineyards selected for the research study, including the finest parcels of land belonging to each winery. 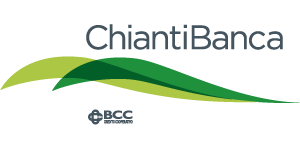 This is a unique opportunity to find out the initial results of a research project that is unprecedented within the Chianti Classico appellation. Join us for Chianti Classico Collection 2019 on 11 and 12 February at the Stazione Leopolda in Florence.